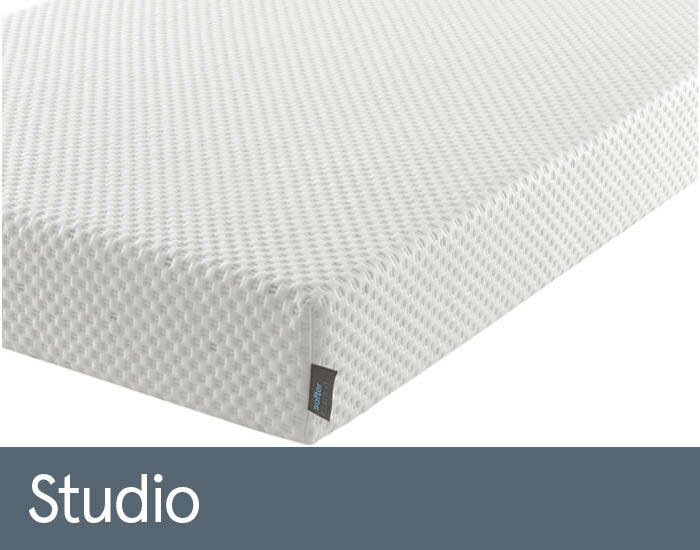 Studio Mattress is a brand new range from Silentnight – company with 70 years of experience and expertise in making beds. Our sleeping habits are unique, which is why the Studio mattress comes with 3 comfort choices: soft, medium and firm. The mattress comes rolled-up and boxed for extra convenience (apart from the Super King Size option, which will be delivered flat). The range features Geltex inside to prevent overheating through the night as well as anti-allergy cover. Memory foam spreads your body weight and provides support where needed, reducing the pressure, while the high density Studio Flex foam core matches the comfort rating you choose and provides profiled support tailored to your body shape. Studio mattresses are handmade in UK factory to the high standards that they are famous for. Thanks to Silentnight's rigorous product testing programme and commitment to quality, you can be sure that you'll get the perfect night's sleep.